An American treasure! America's No. 1 blue cheese. Since 1936. Facebook: facebook.com/TreasureCaveCheese. Pinterest: pinterest.com/treasurecavech/. 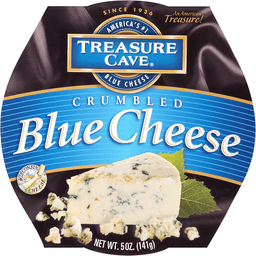 Get recipes and more at Treasurecavecheese.com. www.saputo.com. Wisconsin cheese.